Tim Ho Wan: Singapore vs Hong Kong - Are they equally good and worth queueing for? If you're a fan of dim sum, you probably would have heard of the long queues at Tim Ho Wan, or even joined them. Both in Singapore and Hong Kong. So what do you think of the Singapore outlet? Is it worthy of the original outlet's name and its Michelin star fame? Story is on Yahoo Makanation and Makansutra (which has gotten a nice revamp, by the way). 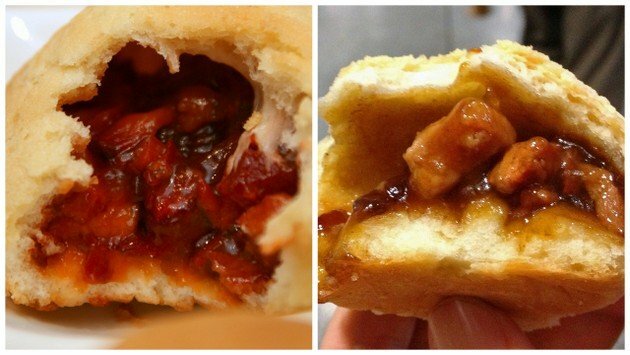 Incidentally, I first got to try Chef Mak Kwai Pui's baked BBQ pork buns when he came to RWS two years ago. That was before any talk of the Singapore branch. Chef Mak is so nice and down-to-earth. He just wants to make good dim sum. Expanding and keeping the same quality consistent is not easy, but I think the Singapore branch is holding up fairly well. I visited their HK branch earlier this year... I love it! Haven't had a chance to try it here yet... the queue is just too long each time.